The players found a convenient out: Rafa’s surgery to remove a floating object in his ankle. Nadal underwent the 35-minute procedure on Tuesday and will rehabilitate to get ready for the 2019 season. He missed the Paris Masters and will also miss the year-end ATP Finals in London, which are about to begin on Sunday. It’s always nice to have an extremely easy and optically safe excuse to do the right thing. 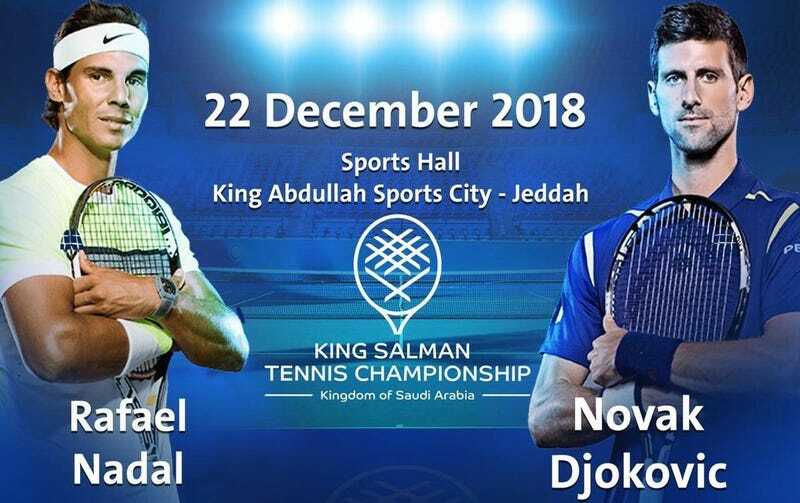 What More Details Do Rafael Nadal And Novak Djokovic Need To Cancel Their Saudi Arabia Exhibition?